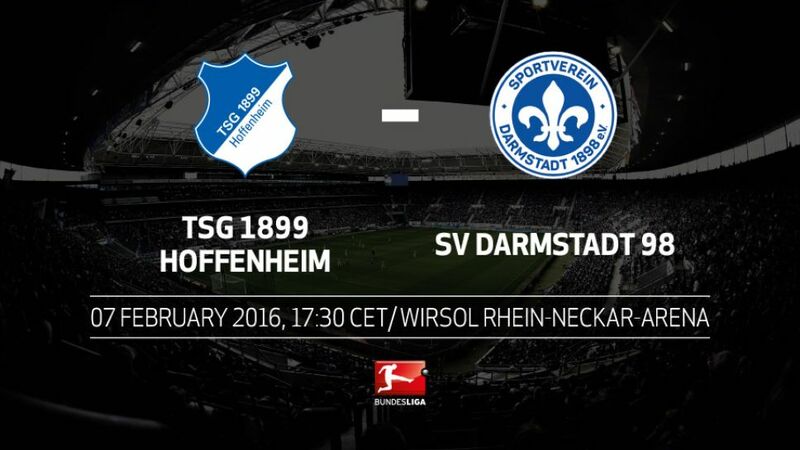 The battle to beat the drop comes into focus this Sunday when TSG 1899 Hoffenheim host SV Darmstadt 98 (kick-off 17.30CET/16.30GMT). Only goal difference is keeping Huub Stevens' men off the bottom of the division and with a seven-point deficit on their Matchday 20 guests, there could not be a better time to pick up their first win of 2016. Darmstadt, whose away form has been excellent this season, know a win in Sinsheim would lift them another step away from the automatic relegation places. Following the Matchday 19 action, Hoffenheim already have a seven-point deficit to make up on 15th place.Darmstadt slipped to 14th on Matchday 19 – their lowest position of the season so far.Hoffenheim have only won one game at home this season – against fellow cellar dwellers Hannover.Darmstadt continue to have a positive record on their travels, with four wins and three defeats so far this term.Aytac Sulu was on Hoffenheim's books between 2007 and 2009 but never played for the first team, despite two substitute appearances.Sandro Wagner has not won any of his five games against Hoffenheim and has yet to score against them. He has scored three in Darmstadt's last two away games.Huub Stevens has faced Darmstadt once before in his career: in the DFB Cup in December 2001, when his Schalke side needed an extra-time Ebbe Sand goal to win 1-0.